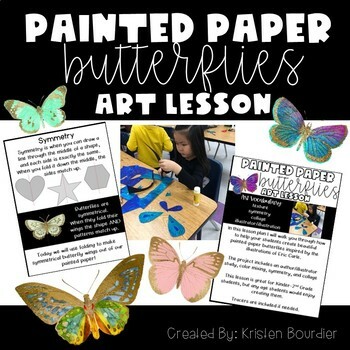 In this lesson plan I will walk you through how to have your students create beautiful painted-paper butterflies inspired by the illustrations of Eric Carle. The project includes an author/illustrator study, as well as lessons on color mixing , symmetry, and collage. This lesson is great for Kinder-2nd Grade students, but any age students would enjoy creating these painted paper beauties!